Doctor's Best Vitamin D3 provides D3 (as cholecalciferol) needed for the body to regulate phosphorus and calcium levels for healthy bones, teeth and heart. 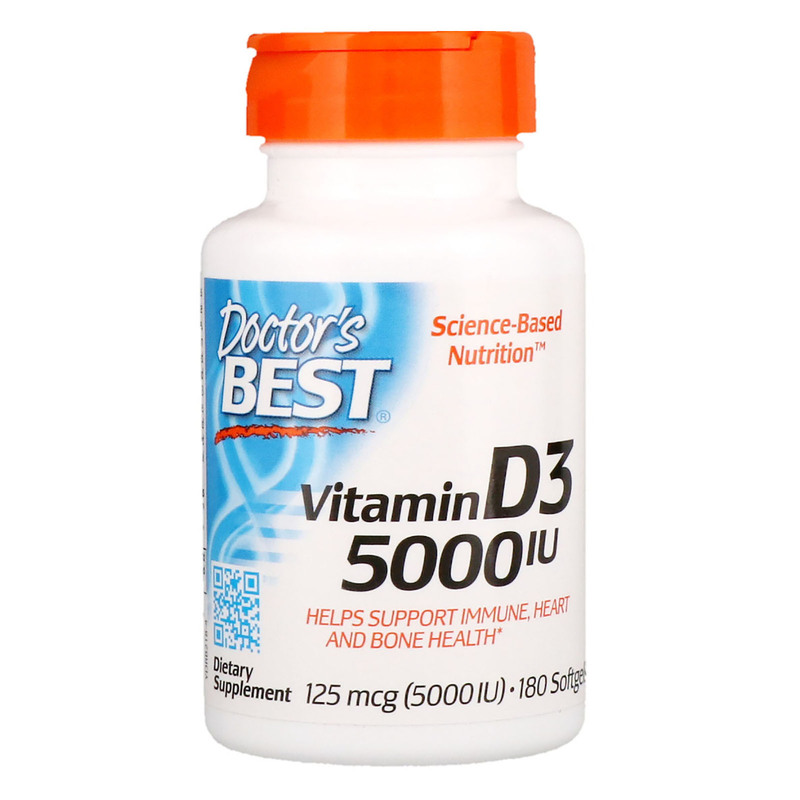 Vitamin D3 is produced in the skin by absorbing the sun's UV rays and is obtained from food in limited amounts. Sun protection and climate factors may influence low Vitamin D3 levels. Vitamin D3 is beneficial for immune, cardiovascular, bone density and structure, and cellular function. 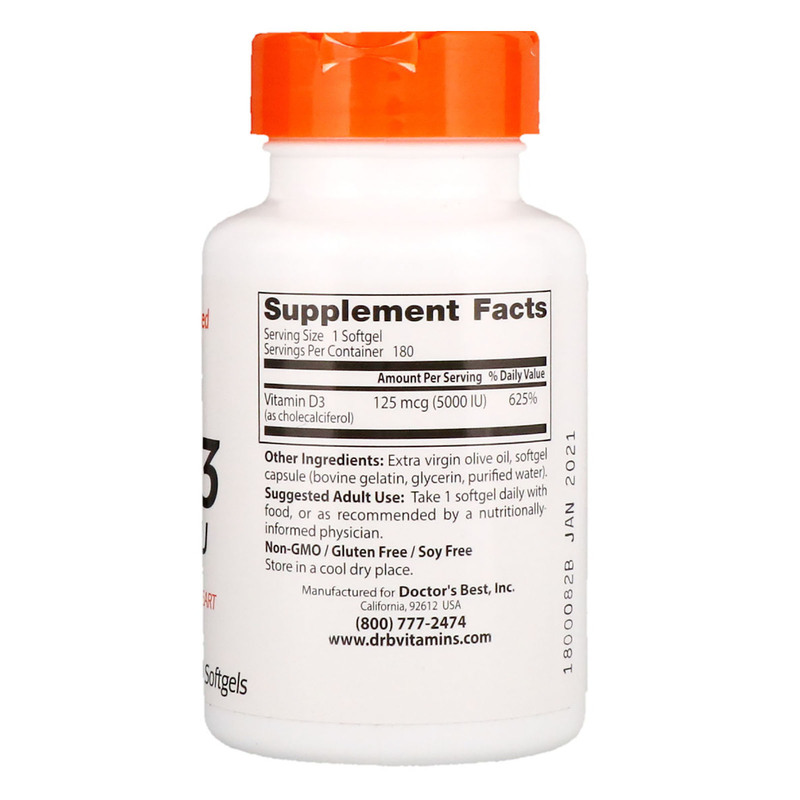 It plays a role in most organs and systems of the body and influences the chemical messengers of the immune system. Suggested Adult Use: Take 1 softgel daily with food, or as recommended by a nutritionally-informed physician. Extra virgin olive oil, softgel capsule (bovine gelatin, glycerin, purified water).